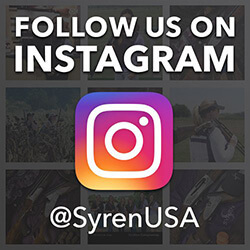 Syren will be set up with display guns, along with Caesar Guerini and Fabarm guns also. Come by our booth at the show! Lynne Green, Syren Brand Manager will be at the booth all weekend. There will be no gun-smithing available during this event.